We’d love your help. 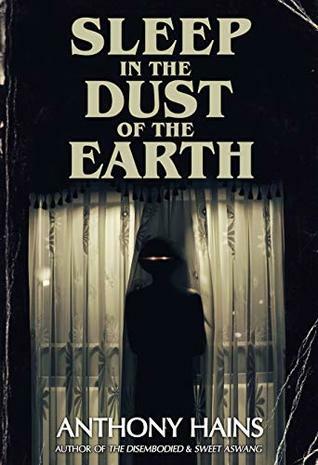 Let us know what’s wrong with this preview of Sleep in the Dust of the Earth by Anthony Hains. Ace’s life is satisfying in an ordinary sort of way. At twenty-five he’s deeply in love with his wife of two years, and he and Runa are expecting their first child. But when Ace’s mother-in-law passes away after a short illness, things take a turn for the weird. Everyone in the family knows that Gretchen dabbled in the occult prior to her death, inviting friends over for occasional tarot card readings and séances. What most of them don’t know is that she spent a considerable amount of time training her grandchildren in the art of the uncanny. Now Brinn and Oliver appear to be experimenting with strange rituals—rituals linked to increasingly disturbing events. To ask other readers questions about Sleep in the Dust of the Earth, please sign up. This is the 2nd novel I've read by Anthony Hains and I was not disappointed. Three sisters different from each other. Karla married to Wayne with 2 kids. Adele single, christian. And Runa, the youngest, married to Jason aka Ace, expecting their 1st child. The girls father died of stomach Cancer shortly after coming back from a trip. His sickness was disheartening to his daughters particularly Runa. She was around more for it. He was full of pain and it ate him. The book starts about the death of their mother. Karla and Wayne bought the childhood home and her mom lived with them. After their mother's death, the family is gathered at the old house, when strange things occur and the occult is brought up. Karla and Wayne are oblivious. Adele talks to Runa and Jason about how their mom was into witchcraft and their father felt their mother cursed him with the cancer as revenge for having an affair. Karla's children are acting strangely...dead ants are suddenly alive again and aggressive...it has a Pet Semetary feel with bringing the dead back to life and how they sometimes come back angry. Sleep in the Dust of the Earth is reminiscent of Pet Semetery in so many ways. I found this story a bit disturbing in who is responsible for the strange goings on in this family as well as how clueless most of the family was until it was too late. It was creepy in a good way. I received this as an ARC and am voluntarily leaving my honest review.